Calling Badlands a ‘standalone’ is a bit of a misnomer. While it is indeed a break in C.J. Box’s long-running Joe Pickett series, Badlands follows on from The Highway, which itself followed on from Back of Beyond, which all stemmed from Three Weeks to Say Goodbye. There is a continuity to these novels, separate from Pickett’s, and while each can be enjoyed as distinct entities, plot tendrils do follow on, dipping into spoiler-territory, which might tarnish reader’s enjoyment of the earlier works. My advice: jump back and read them all; Badlands will still be here when you’re done. Back of Beyond, in particular, is one of my favourite crime novels. 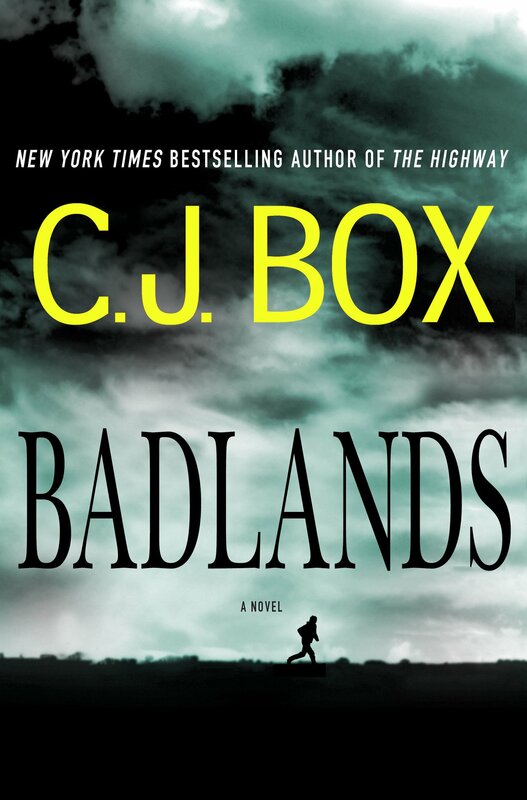 Badlands stars Cassandra Dewell – – a character we’ve met before – – who has just landed a new job as chief investigator of Bakken County, under the leadership of Sheriff Jon Kirkbride. The Sheriff underlines the difficulty of the task facing Cassie; North Dakota’s sudden oil boom has sparked an escalation in population, and with it, crime; the winter climate is arctic, and unlike anything Cassie has ever faced; and her own colleagues are not to be trusted. Her first day on the job sees Cassie investigating a fatal car accident. The vehicle was carrying a stash of methamphetamines, with an astronomical price on the street, and it has gone missing. Actually, it was commandeered by a twelve-year-old Kyle Westergaard, a kind-hearted, but mentally-challenged since birth by foetal alcohol syndrome. His decision to take the drugs ignites a conflict between the Sons of Freedom, Bakken County’s regular drug-sellers, and a bunch of Salvadorian upstarts, called MS-13, who go about their business in particularly brutal fashion. Cassandra Dewell is a fantastic heroine, who epitomises the real-life struggle of law enforcement officers; she demonstrates plenty of attitude and expertise, but is occasionally undermined by her own self-doubt. She is still struggling with events from The Highway, but is determined not to let it show, or impact the investigation. I would welcome her return. Badlands is a suspenseful, adrenaline-charged procedural. Its unrelenting pace means readers will get through it no time, breathless, and desperate for Box’s next. A Grade-A crime novel.